O' Neil was stopped by police at the Tyne Tunnel toll booths. Fares for the Tyne Tunnel are due to rise next year. According to plans put the the North East Combined Authority this afternoon (Tuesday, November 20), prices for cars are expected to increase by 10p, from £1.70 to £1.80. This would also apply to other vehicles in the Class Two category, including light good vehicles. Drivers of HGVs are facing the prospect of 20p being added to their fare, up to £3.60. The fare rise is predicted to raise an extra £1.56m. This paper also said the tunnel had seen lower levels of traffic since the Silverlink works started in 2016. However, it adds the numbers using the tunnel is expected to increase next year, when the works are due to finish. 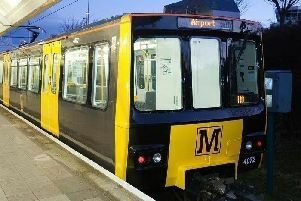 A decision on the fare increases is due to be made in January.